No one expected Zosia to come running to meet visitors at the animal shelter. The dog had been found in a bloody heap alongside train tracks. Her back legs were reduced to ribbons. She hardly had a tail to wag. 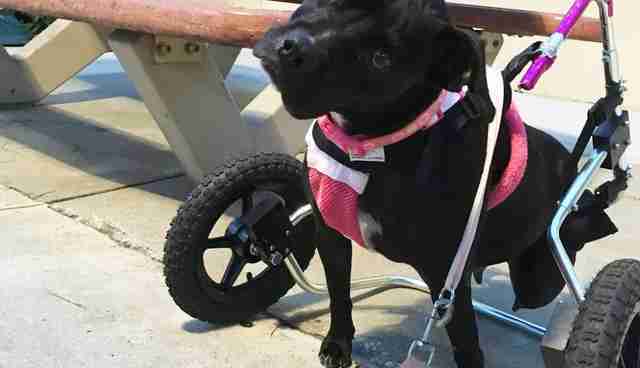 And yet, when Jennifer Deane visited her at the Jacksonville, Florida, shelter - scarcely hours after losing her legs last April - every fiber of the dog's being seemed to celebrate life. "She didn't have her wheelchair yet, but I've got to tell you, she dragged her little body over to me and gave me kisses," Deane tells The Dodo. "And I was like, 'This girl is something special.'" "She's just fantastic," Deane adds. "Her back end still wriggles like a tail wagging, although she doesn't have one." Indeed, Zosia's zest for life would would prove powerfully contagious. Deane, the founder of Florida rescue Pit Sisters, pulled Zosia from the shelter. It didn't take long for the dog's buoyant personality to rub others the right way. She inspired countless people to donate the money needed to buy her a wheelchair. And she inspired Erica Koflin to give her a real home. And then Zosia began lighting up more than just donation boxes. Koflin volunteers with I Am Adaptive - a charity that assists athletes who have special needs. Soon enough, she began bringing Zosia to meet them. The group's mission, according to its website, is to rid the world of the words "handicapped and disabled." And who better to spread that message than a dog who picked herself up from the most unimaginable tragedy? "She inspires and encourages," Koflin tells The Dodo. "Many of our adaptive athletes are adjusting to major life changes. "They light up when they see Zosia. And when we tell them it's only been a month, and they see how full of joy she is and how undeterred she is, they get excited to keep trying. Even when it's hard." Indeed, it might have been easy to leave this dog behind. She was, after all, a dog who had been abandoned. And then horribly maimed. But Zosia got a lift when she needed it most - and now, just months later, she's paying it forward. 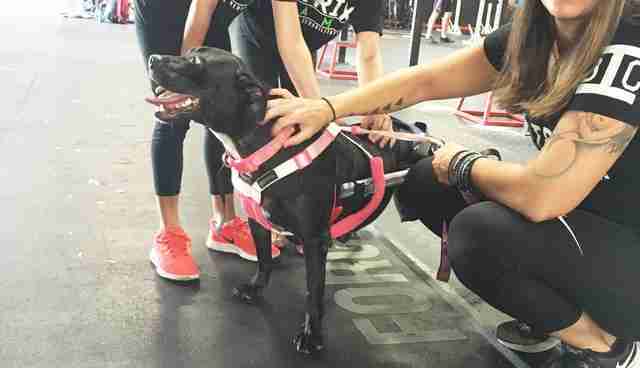 "When you have somebody who has had something happen and they've got some challenges they didn't have before," Deane says, "seeing a dog come in with similar challenges - who just functions like a dog - it inspires them to be able to push themselves harder." 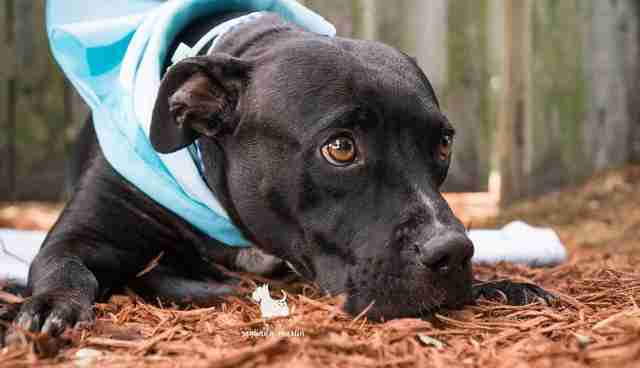 If you would like to help Pit Sisters in its mission to save so many more dogs like Zosia, consider making a donation here.